SECAUCUS, NJ – Mayor Michael J. Gonnelli and the Town Council invite you to join them at the annual Diwali Mela festival on Saturday, October 15, 2016 in Buchmuller Park. The event runs from 12:00 p.m. onwards, with a special unveiling of the brand new, nationwide Diwali stamp at 3:00 p.m. 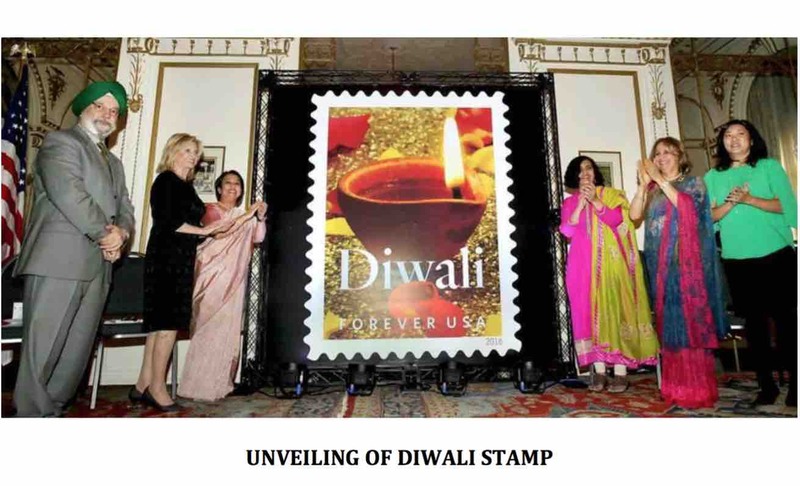 The United States Post Office unveiled its new, permanent Diwali stamp at the Indian Consulate of New York on October 5, 2016. The Diwali stamp celebrates the Festival of Lights and Hindu culture. As of October 5th, the stamp will be available at every post office in the country. In addition to the unveiling of the stamp, the Town’s Diwali Mela celebration on October 15th, will feature food vendors, cultural activities, information and more. Come out and join us to learn about a new culture or to celebrate your own.